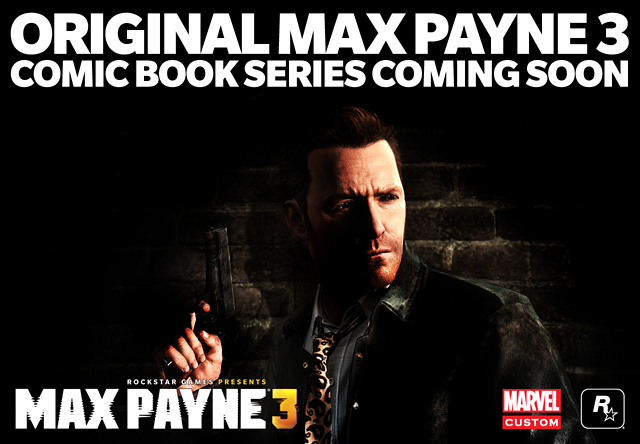 The comic starts things off with a story penned by Dan Houser and Remedy's own Sam Lake (the original face of Max! ), so these are guys who have a good grasp on the source material. Things should equally look mighty nice as the series will play out with pencils from Fernando Blanco and cover art from the talented Greg Horn. Issue #1, titled After the Fall (which would seemingly reference the saga's second game, The Fall of Max Payne), will be out sometime in the next few weeks and will be totally free to read in digital format through digital comic outlets and the Max Payne 3 official site. After that, your gonna have to pay up buddy boy.